The Terrapin® 8L is an updated, smaller version of the modular Terrapin® System. Like the popular Terrapin System, the mount stays on the bike and the custom fitted drybag is removable for easy packing. 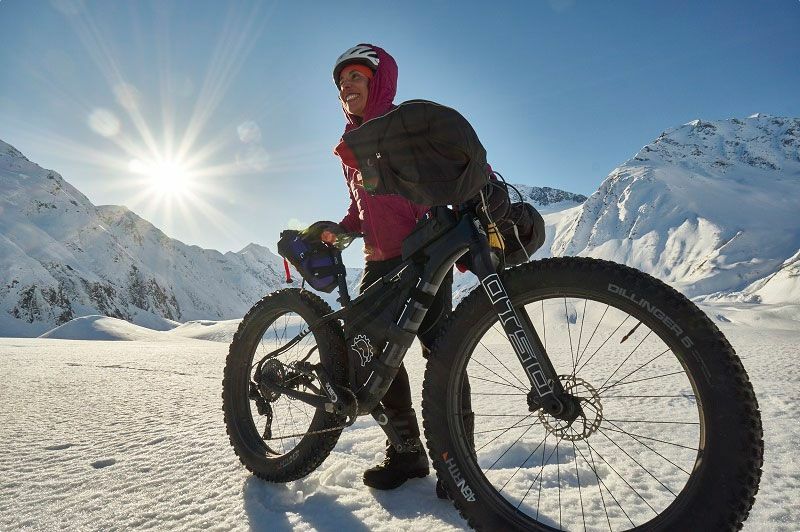 With 8 liters of capacity, it is perfect for most lightweight bikepacking trips and fits bikes with low tyre clearance. It is perfectly sized for small framed bikes, including plus bikes with inherently diminished clearance. A key feature of the Terrapin holster-like mount is the Indie-Rail attachment system. 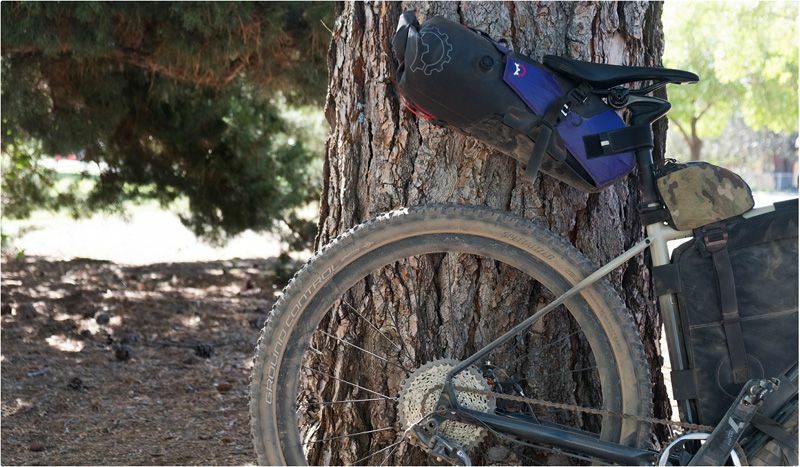 This a progression from conventional bikepacking bag mounts where the rail straps are fixed to the top center of the bag. Each rail is cinched down to the sides of the bag, virtually eliminating side to side bag sway without the need for external hardware. We combine this with a rigid internal structure and active camming buckles to prevent straps from slipping on rough terrain. The mount is stiffened on all sides including an external plastic bottom sheet which protects the bottom of the bag like a fender. A composite internal top sheet provides a solid and stable platform for the strap points and transmits the vertical load to the seatpost connection. Important Notes: it is mandatory to check tyre clearance prior to use, especially with full suspension bikes. Bag contact with a tyre can ruin your day. Tyre damage to the bag is not covered by warranty. The Terrapin® 8L is not compatible with the Spocket top pouch. © Copyright 2019 Cyclewerks. Built by Cyclewerks. Powered by Airsquare.